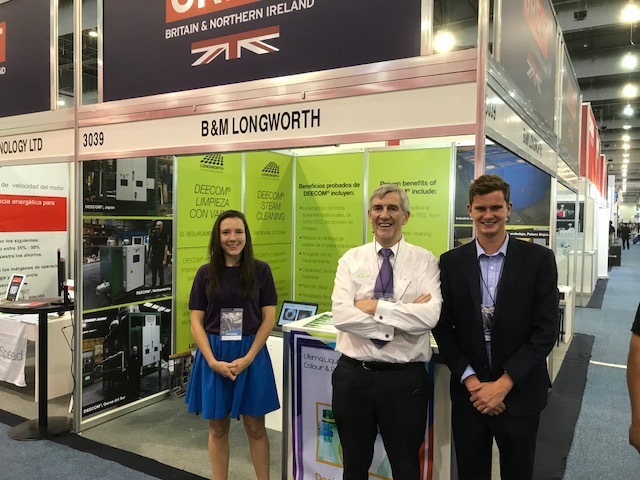 Longworth is a proud member of the British Plastics Federation (BPF) and enjoyed exhibiting from their British pavilion meeting leads and contacts from across Latin America. The local British-Mexico Chamber of Commerce did a great job of arranging meetings in advance in order to make the most out of our time there. New agents in Central and South America will now continue to follow up all the contacts and leads generated and offer free proving trials for a number of sites in different countries which was very well received by visitors. In the 21st PLASTIMAGEN MÉXICO®, more than 870 companies came together in Mexico City for the most important plastics event in Latin America, an event designed to meet the needs of 30,000 attendees looking for: innovation, solutions, and training for their companies. PLASTIMAGEN MÉXICO® has the participation of world-class, decision making professionals, keen to learn the latest innovations in the plastics industry. Longworth left with lots of interest, new contacts and friends in the Mexican division of the British Chambers of Commerce and aim to follow up and be back in Mexico in 2018. Further overseas activity will see our attendance at PLASTINDIA 2018 as we take DEECOM® global. DEECOM® is a patented process using superheated steam to effectively remove a range of polymers from filters and related production equipment. To read more about how DEECOM® could help increase the productivity of your filters and components, visit our DEECOM® page.